It’s been 148 years since Preston’s curling club was founded, playing on local ponds in and around the city against teams from nearby towns. Now, nearly 150 years later, the club has for the very first time hosted the Four Nations curling competition – welcoming teams from England, Scotland, Wales and Ireland – thanks to the unique facilities north of the city at The Flower Bowl Entertainment Centre. Guy Topping, managing director of The Flower Bowl and member of Preston Curling Club, took part in the competition for England alongside brother and fellow club member Peter Topping, who is managing director of Barton Grange Landscapes. 53-year-old Guy said: “Not only does Preston Curling Club now have a local home, it’s fantastic for The Flower Bowl to be able to get involved and hold such a great, historic curling competition. The support we’ve all received over the weekend from local spectators has been brilliant. 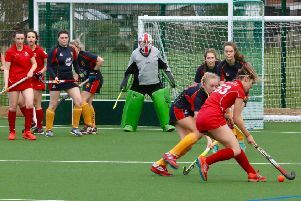 A total of seven trophies were up for grabs over the weekend competition from Friday, January 25 to Sunday, January 27, with Wales ruling the roost taking home three; Ireland two; and Scotland and England one each. England lost to Scotland in the Tom Ballatyne Trophy – a trophy which goes back more than a century and is rooted in English and Scottish rivalry. Adrian Meikle, president of the Welsh Curling Association, said: “Even though we won our three trophies we won by a few points in each, so it was really close. The tournament followed on from The Flower Bowl hosting its first international tournament – the 39th Welsh Bonspiel – last October where it welcomed teams from Wales, Scotland and England along with Scottish curling champion Gail Munro. Adrian revealed that the tournament looks likely to return to Preston next year with The Flower Bowl being the closest dedicated curling rink to the 2020 hosts, Wales.